I was just listening to a podcast by Anne Bogel What Should I Read Next. She was talking with her guest about the tone of a book. What tone did she like to read? Did it matter what tone the book took? The guest went on to talk about her likes and dislikes with different tones of books. Psalm 9 is a divided psalm. Part of it is praise for the ways that God has worked. Part of it is seeking God to ask him to act again. But listen to the first verse: read it aloud, read it over and over. 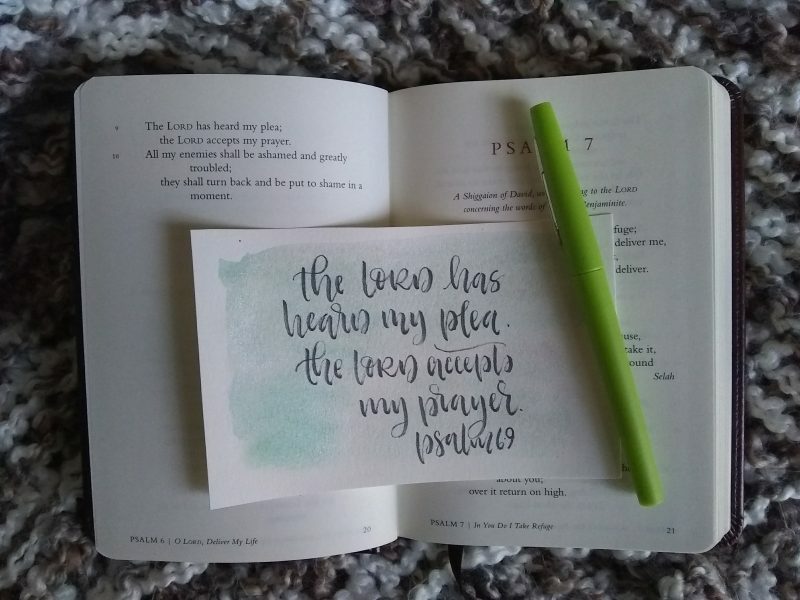 Doesn’t it set the tone for the entire psalm? As a mom, I have an obligation to my home. Yes, to my house, to make it warm and hospitable and clean and functioning. But, more to my home. I get the opportunity to set the tone of our home. I can set a tone of joyfulness or of grumbling. I can set a tone of peace or of striving. I can set a tone of prayerfulness or worry, of praise or of complaint. What tone do you want to set in your home? In your quiet time? 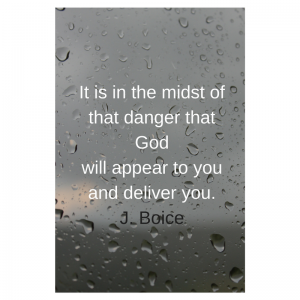 In your walk with God? Prayer is not the easiest thing I do in my life. Is it for you? I once heard a pastor say that no one in the church would raise their hands if he asked if anyone had the prayer life they always wanted. My prayer life currently is very much in the moment. If someone asks me to pray, I do it right then. I pray when I need help with parenting. I pray as I read things. I pray in the car when a song comes on that reminds me to pray about something. And really, Psalm 6, is not about prayer. Not really. Its about confession. Its about seeking the God who is able and willing to show mercy on us and forgive all our sins. David, in his agony and turmoil, maybe in a depression, maybe feeling totally away from God, appeals to His character. God’s faithfulness, His acts of redemption, His leading and mercy and grace. These are the things that David knows God to be. And even when David can’t feel God or even when David thinks he has nothing to bring and God shouldn’t answer Him, he calls out for mercy. Spring is a great time to try something new. Just like January 1, right? The days get longer, the weather gets warmer, the flowers are blooming! Lettering is definitely not new to me, but I do like to do different things with it to keep me fresh and also practice. When my custom order list is long, I warm up with lettering challenges that I find by different letterers on Instagram. 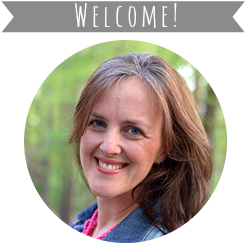 This March I’ll be sharing with you those letterings and my devotional thoughts. I’m using James Montgomery Boice’s incredible commentary on Psalms to walk me through these each day. And I’ll also be talking about my favorite lettering resources, too. 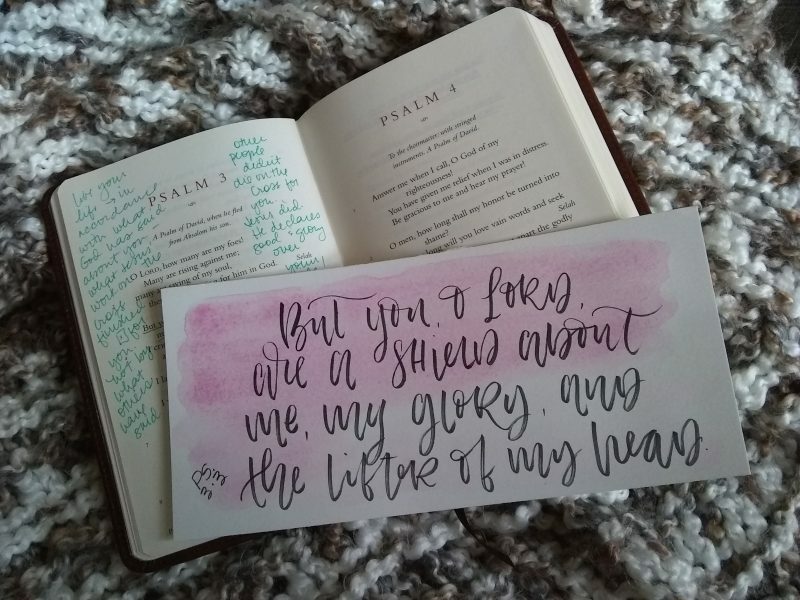 By the end of the challenge, I hope to take all of the ombre brushlettered cards and make them into a Psalms memory ring! I’ve loved this Psalm for about 15 years since I sung it as part of a choir at a church in NC. This is one of my favorites. I love this version by Brooklyn Tab. My mister will be singing it this spring as part of a choir tour – encouraging pastors and church members. 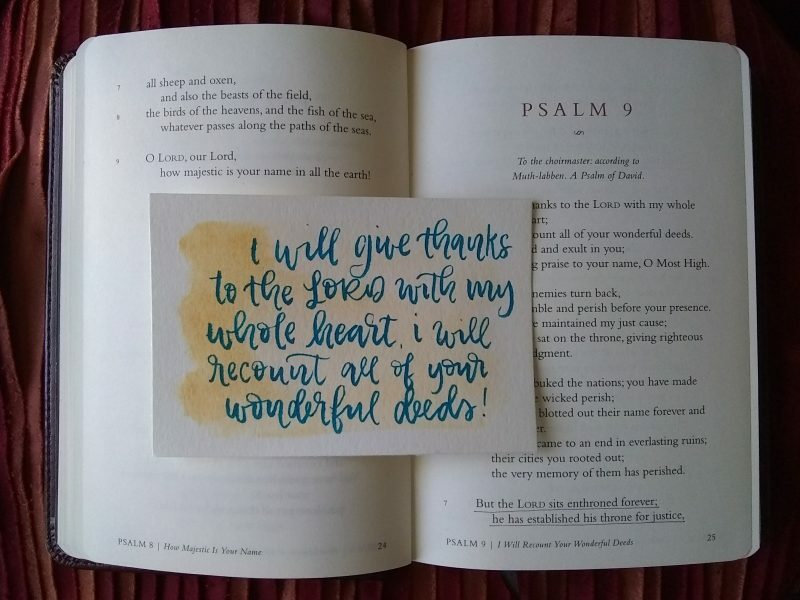 The Psalm is written by David. To say the least David is having a rough go of it. His life is in danger – by his son. When I’m anxious about anything I can tell you I don’t sleep very well. It is a fitful night of tossing and turning. And yet David says he woke up because the Lord was with him. That says he was very calm. 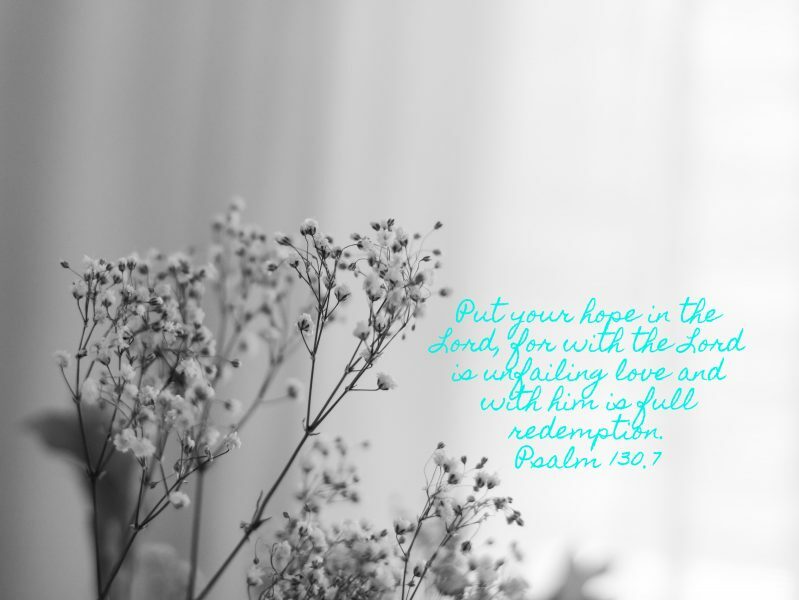 When we are being pressed in, have people that are after us, or accusing us, or being mean to us (yes, bullying happens as adults too), or we just are having a rough time, we can look at this verse and know the same God who rescued David is the same God who shepherds and rescues us. He is a near God who protects you. For any custom lettering, comment here or head over to my instagram page. Sometimes, we, as a family of 4 with two littles under the age of 6, have some interesting conversations at the dining table. We use the table as a place to get to know our children, let them talk about their days, what they learned that day, and to teach them manners (ha, they are both boys). Especially on Sunday afternoons, we like to ask what they learned in Sunday School. They are using the Gospel Project in their classes, so I know the teaching they receive is spot on, but sometimes what comes out of their mouths is humorous. Moses is the Father of lies. Paul and Barnabas went on a walk. Those are just a few of the things I have heard in the past few weeks. I want to have open conversations about faith and Jesus and the Gospel and let it be a normal part of our every day conversations (not just relegated to Sundays or in their beds as they say their nightly prayers). Deuteronomy 6 teaches us this. As parents, we are to talk about Jesus all the time. This will come from a heart that loves Him! 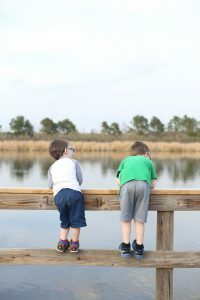 As my boys little minds grow, they will get more curious about faith and Jesus and the stories they hear in the Bible. 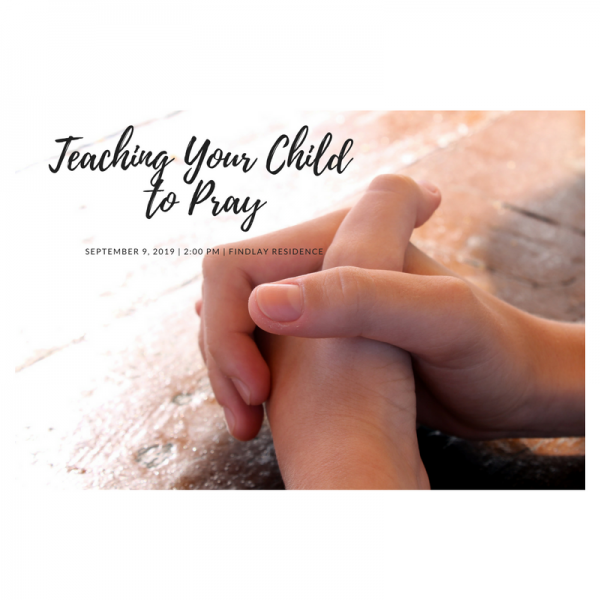 Even though I went to seminary, wrote Bible curriculum, and read a ton, I may not always know the best way to communicate God’s truth to my littles. Here’s where my caution comes in: some of these questions aren’t answered how I would answer them. Can we pray for our pets? (Yes, I think it is ok to thank God for our pets because they bring us joy, but no, I don’t think pets can be saved and I don’t think all dogs go to heaven. If you have a pet you will need to deal with this question by your kids.) . On the question of Adam and Eve’s sin, she doesn’t say that all men have sinned because of that, but instead just says that God still loved them even after they sinned. So, as with every book review I give, take every thought you read in this book and line it up with the whole counsel of the Word of God. If something doesn’t line up, you must go with the Word of God because that is your perfect standard of Truth. If you want to win a copy from Tommy Nelson, just leave me a comment telling me one fun question about God your kids have asked you! How do you get to know someone? Thankfully in today’s technology-driven world, I think that is easier and harder. Let me explain. You can get to know people on social media. This is how I love to keep track of new friends and old friends who live in different areas of the country/world. You can get to know people by running into them at small groups or in church services. Or playing basketball, shopping, being in a creative group together or a book club. But, I genuinely think that the only way to truly get to know someone is to sit down with them. Talk with them face to face. You may not want to genuinely know everyone – but for those close friends, don’t you want to genuinely know them and sit down with them face to face as often as you can. With my husband: I can get to know him through texts, through what he posts on facebook, but most I get to know him when we are talking to each other without distractions. Or if we are sitting side-by-side traveling alone together. WIth my best friends – I want to get to know them while sitting on their porches, sipping coffee together, or grabbing a quick breakfast together (without our kids). With new people: it is hard to get to know new people at 40. It is. But, I have found it best to just sit down with them, have food or beverage present, and talk. Share. Be open. That is what God’s Word does for us. Though we don’t have a face-to-face with God, the Word reveals God’s heart to us. He has been hospitable in creating the Word. 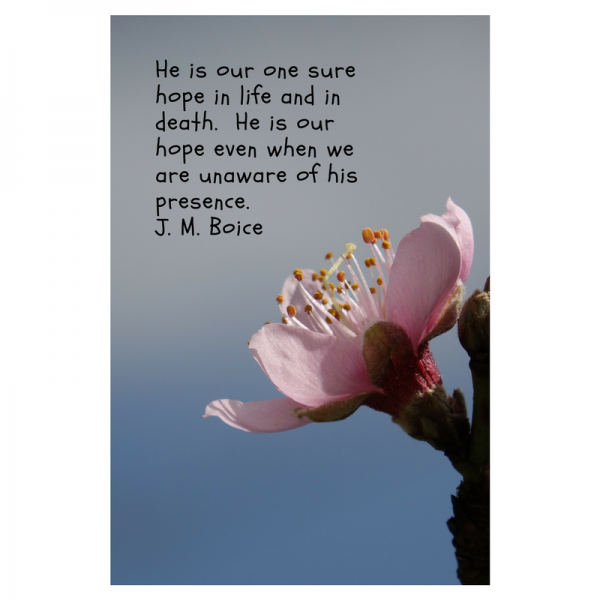 He was hospitable when He sent Jesus. And He was (and still is) hospitable to us when He God-breathed the Word to be carried down to generations for us, believers today in 2017. 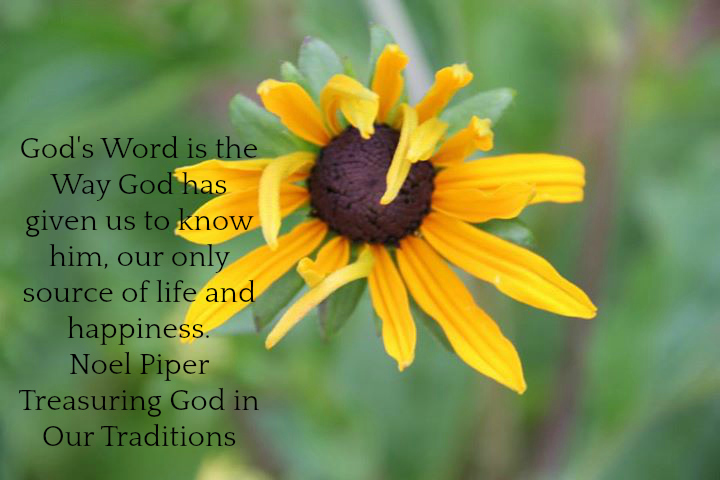 If you are anything like me, sometimes you get in a rut with your time in the Word. Maybe not, but I know I do. If I always study the Word in the same way, I get stale (not the Word). So, I thought I would highlight some new(er) Bible study helps. Maybe these will be new to you, maybe you will have tried them and love them. 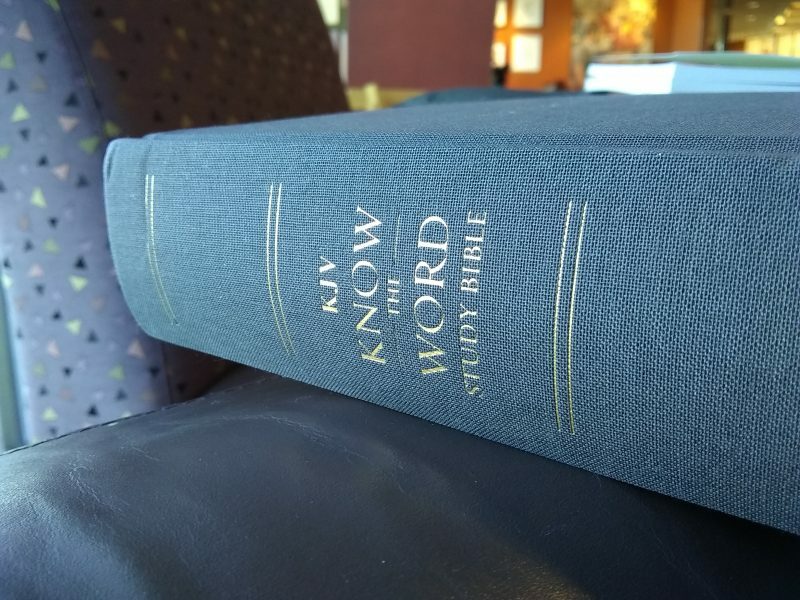 KJV Know the Word Study Bible. This is a new Bible from Thomas Nelson. I grew u with KJV at my Christian school. The verses that I have memorized over the years are a hybrid of KJV, ESV, NIV, NASB. One thing I love about technology these days is to read the Bible in so many different translations – and the KJV is a good one. 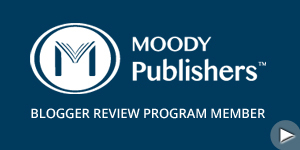 This new Bible has topical study notes on subjects: the Trinity, Love, Covenant, Purpose, Church, etc. These are helpful if you are doing a topical study in your Bible study. There are helpful footnotes on the bottom margin so you can access it easily as you are reading. This Bible has book introductions which are helpful if you are doing a read through the Bible, you are getting a brief synopsis and knowledge about the book before you read it. 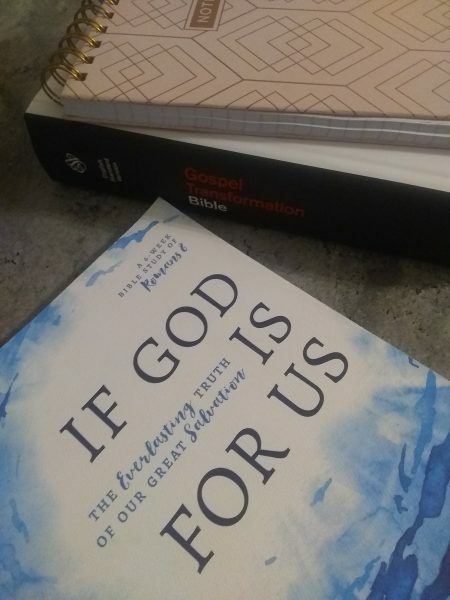 So, if you want a very neutral (not personality-driven study Bible) this new one is a good, basic one. 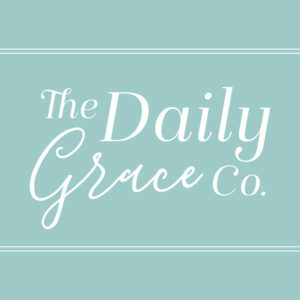 The Daily Grace Co. Kristin produces Bible studies that I think are ideal for the beginner. She Reads Truth – this is an easy app that you can have on your phone right when you wake up, get in the Word right away, or you can purchase their Bible studies. Solid material. What are some Bible study tools that you use? Thanks Litfuse and Thomas Nelson for the KJV Bible. All thoughts are my own. There are times I fail at hospitality. And, yes, fail is a strong word. Most will probably say just practicing it is enough, but for me, I want to do it right. So, there is often a struggle between doing it and doing it well. I’m a number 3 with a 2 wing on the Enneagram. I like to be known and loved and be needed and always seem to be giving my resume. But, I hate the fear of rejection. Rejection and me do not get along. The last 6 years I’ve had the most love I’ve ever known (husband, 2 boys), but I’ve also experienced the most rejection and dislike in my life. It has been some incredibly lonely times. Filled with so many tears. I remember just one little example of this. I was hosting a meeting of ladies in my home. I love to bake. And I make these delicious and beautiful cupcakes. I had spent all afternoon making them (with a toddler and baby). One person ate a bite, no one else had any. I wanted to cry the whole meeting. When my husband arrived home, I threw them in the trash. He didn’t even get to taste one.. When you work on something creatively for someone, have others reject it, its really a rejection of yourself. So, the past few months, I have really been taking that rejection and placing it on Christ. Where I need to sit and dwell in is his everlasting, never-rejecting love for me. I’m his beloved. He will never let me go. He will hold me fast. When we welcome others in our loves, in our home, not rejecting them – we will be a piece of Christ to them. In order to show them the Gospel. To let them dwell in the love of Jesus.